This week we´ve seen the beginning of the yearly seasonal change from summer fishing and summer species to winter fishing. The species that will be dominating for the next several months are Jack Crevalls averaging 35 lbs, Sierra Mackerals on 20 lb average, Skip Jack Tuna, Bonito and for the ¨lucky¨ Sailfish will hang year round off the point of Punta Mita. Those looking for Dorado, Marlin and Yellowfin Tuna will soon be out of luck. Frankly it may already be too late in the season for Marlin and Yellowfin tuna of any size. Water Temperatures have dropped slightly to the 79 degree range. We should be seeing Striped Marlin moving in as they enjoy cooler water temperatures than Black and Blue Marlin. We always know winter fishing is coming as we get about two to three weeks of Striped Marlin as they begin to migrate south to more temperate waters. The unexpected winter rain storms have faded, the water is blue and fairly warm. 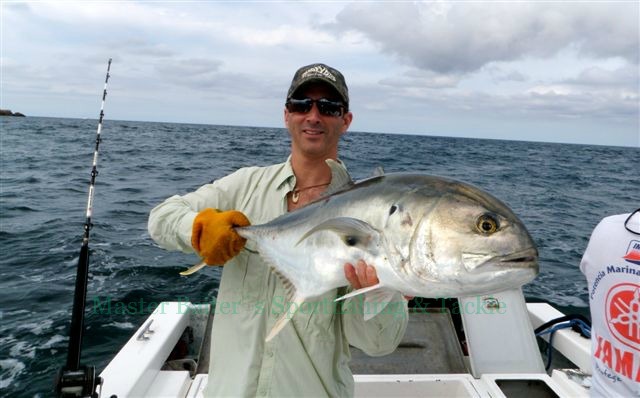 Skip Jack tuna have been abundant in the bay along with Sierra Mackerals, Jack Crevalls, Bonito, and a host of other possibilities like grouper, Roballo and of course Needle fish. A four hour trip in the bay is inexpensive, fun and the family won´t go brain dead from the boat ride. The Marietta Islands are still luke warm. But we have had 60 lb Rooster fish move back in. Not exactly abundant, you´ll have to do a little work, but they´re out there and with a smidge of luck, you´ll be pleasantly surprised at the strength and power these fish have. Corbeteña has chilled out a bit, with illegal long liners in the area with their miles long ¨long lines¨ are ruining the Dorado fishing in the area. Still, Dorado are in the 35 to 50 lb range, a change from the 60 pounders of last week. The Wahoo that was around the rock has moved on for now. Sailfish are still in the area, but moving mostly north near Punta Mita. Not much to say about Corbeteña and less to say about El Banco. For now, I suggest eight hour trips to the Marietta Islands. 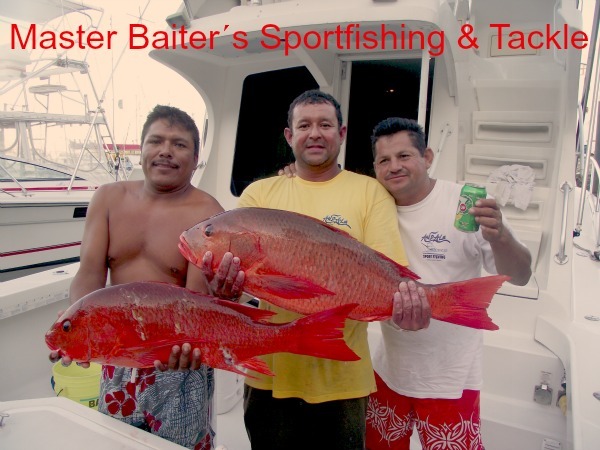 There are plenty of Cubera Snappers over 60 lbs, they´re great tasting and abundant. Again, if you can find some safe, long line free waters at the point of Punta Mita, Dorado to 35 lbs and Sailfish are still hanging around the area. 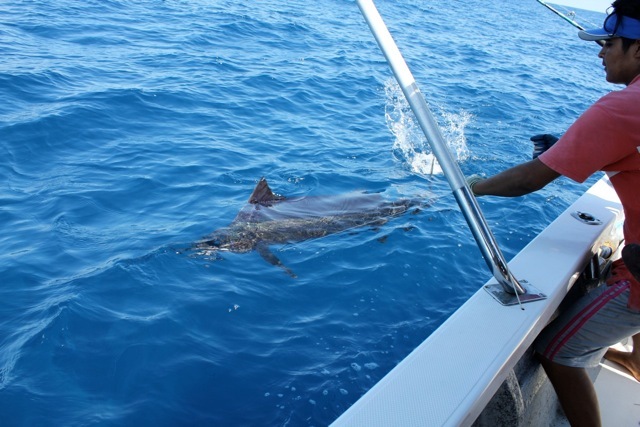 Not unusual to boat Sailfish all year long off the point, the numbers for the last few days have dwindled. Again, we get this strange change when the seasons change. The Marietta Islands are where you´ll find the Rooster fish and if that was all we had to offer it would be enough. Bonito, Snappers, Jack Crevalls, Needle Fish and more are there waiting for you to show up. So take the family out for a short day and have the time of your life. The whales are here in the bay now along with Manta Rays and the possibility of seeing Whale Shares as well. Just a brief note, Marina Vallarta is in a state of turmoil as all the boats in Marina Vallarta have been informed that the leases are no longer in effect, five years after they expired. Like any change, nobody is very happy about seeing their dock fees increase to real world pricing. For now my suggestion is and has been to leave Marina Vallarta and let the legal suits settle. Marina Vallarta will be rebuilt. It will be beautiful when all the upgrades have been done, but until then it´s going to be a sticky situation in Marina Vallarta at best. We have a great report this week folks. The water still green in some areas from the mucked up ocean bottom, but the water is mostly blue and full of fish! Water temperatures are holding nicely at 82 degrees, abundant bait at all the fishing grounds, I mean it´s just great to be fishing in Puerto Vallarta right now. Makes me wonder how anyone could put up with that cold weather up north when it´s just so beautiful here in my corner of Paradise! The Bay of Banderas, our Puerto Vallarta bay is just full of Jack Crevalls from 20 to 45 lbs, Skip Jack Tuna in the 20 to 45 lb range off Yelapa. 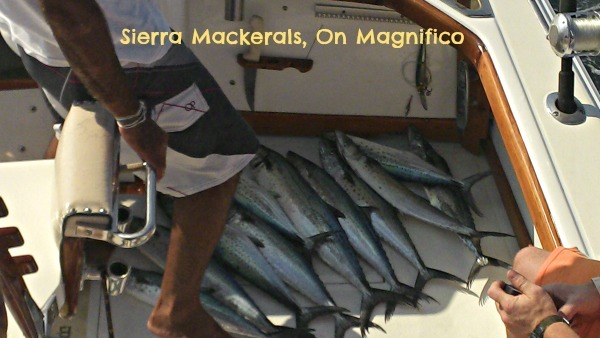 Bonito, Sierra Mackerals to 30 lbs and that´s just a four hour day of fishing amigos, YeHa! Off El Morro, Rooster fish disappeared as fast as they came in, but there are still some hanging off this ignored area. If you´re looking for Roosters, then this is about the only area you´ll find these demon fish! The Marietta Islands for the moment, strangely enough is just a few heart beats from dead. Si, Bonita, Jack Crevalls, Sierra Mackerals and maybe some smaller Dorado. For the time being, not the place you want to spend any fuel dollars on. Not normally the case. If you find yourself in the Golden Triangle, the area between El Banco, Corbeteña and the Marietta Islands, then you´ll have some fish stories to share for sure. 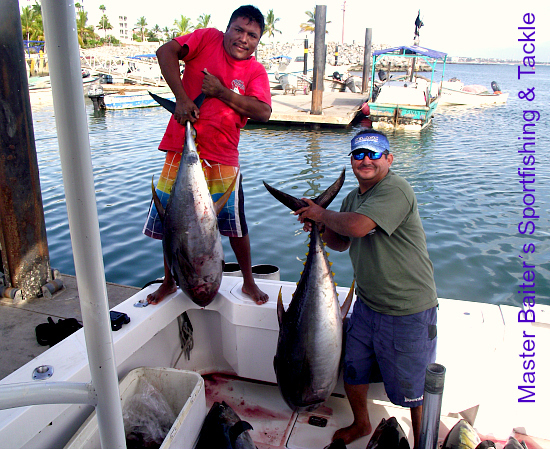 Dorado in the 45 to 65 lb (Bulls) are anywhere from Corbeteña to El Banco. Cubera Snappers to 80 lbs, huge for the species. 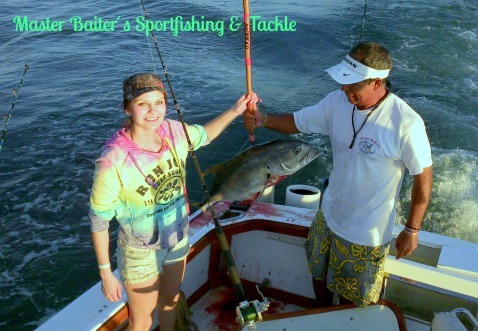 Jack Crevalls by the billions, Sierra Mackerals (the tasty ones) averaging over 20 lbs, Rooster fish are sparse, but there in smaller numbers. Blue and Black Marlin are being boated daily in the 400 to 650 lbs on the larger side. Plenty of Skippies to keep the locals happy and abundant. Water temperatures as mentioned earlier in the 80 to 82 degree range, perfect for all the local species. If you head out pretty much anywhere, you´re catching your fill of whatever species you are looking for, except for Yellowfin Tuna. Disappointingly Yellowfin Tuna have not been schooling around as we have come to expect at this time of the year. Still, there are smaller Yellowfin Tuna in the 60 to 100 lb range, but you´ll be playing ¨Hide and Seek¨ with these highly desired species. If you´re in the Corbeteña area, the rains from Acapulco to Mazatlan is putting entire trees and stumps in the water at the deep water locations and if you find one of these welcome visitors you´ll find Shark, yes I said Shark. Dorado, Small Bait fish, anything is possible and hugely abundant. What else do I have to do, drag you out there? The area off Punta Mita is bursting at the seams with Dorado, Sailfish and did I say Dorado? Mostly Blue Marlin with some Black Marlin about fifteen miles out from the point with the possibility of, dare I say it, 60 lb Yellowfin Tuna. Short report I know, but the fishing is so good right now, you´ll be doing yourself a dis-service if you´re a fisherman and always wanted to see what it would be like to do some deep sea fishing. Even the bay is perfect for the family types where you can see whales, catch Jack Crevalls at will and maybe even get some snorkeling in. But if you´re here in PV get out on the water, it´s mother nature at her best. Bring the movie camera, whale videos are good therapy for when you need a PV fix!